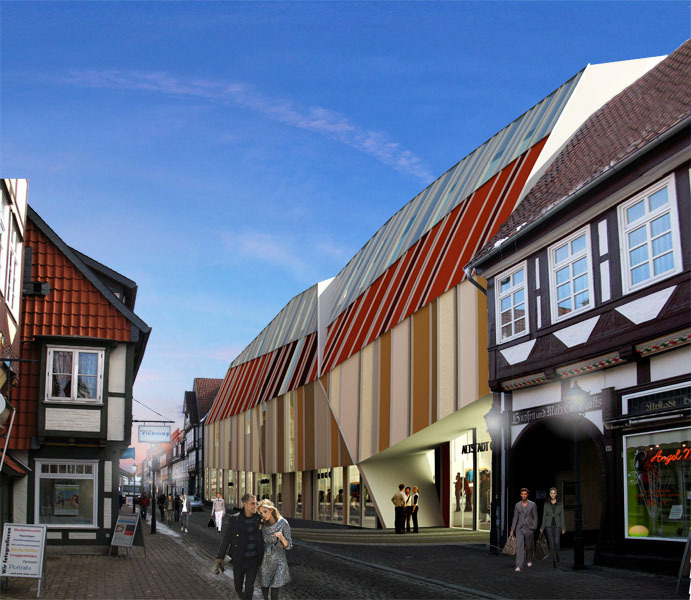 The city of Celle together with the investor GEDO invited SPAR*K to the call for proposals for the new inner city shopping mall called “Altstadt Galerie Celle”. The aim of the competition was to find a concept for a sensitive integration into the historical urban fabric. The predominant typology is timber frame houses with a variety of ornaments, colours, rhythms and silhouettes. Based on the existing colours, forms and proportions we developed a rhythmic façade-application which has a certain depth through profiles to blend into the irregular surrounding. 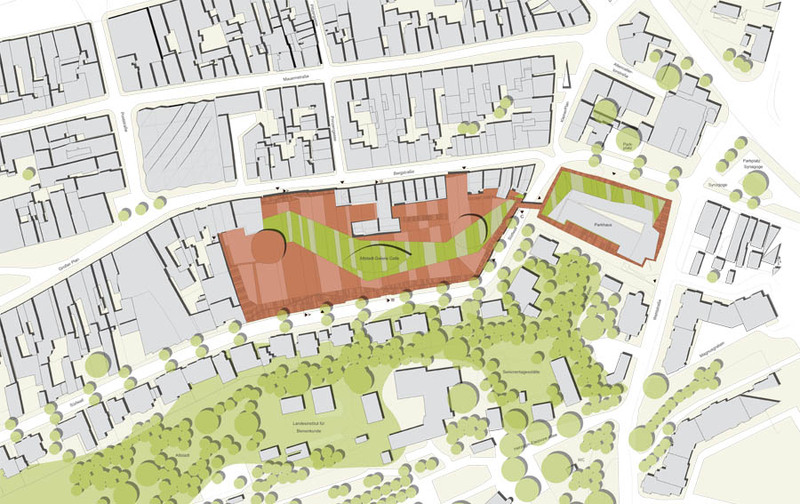 The main contours of the adjacent buildings were adopted and continued. Offsets, dents and diagonal cuts derived from various pitched roofs proportion the façade to show the floors and reflect the timber frame dimension. By including these elements, the façade both assimilates with the surrounding buildings and distinct itself at the same time through a contemporary reinterpretation of traditional timber frame structures.